Shop › News › Hooray! 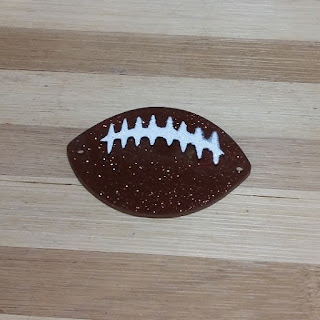 Football Season is Upon Us! Hooray! Football Season is Upon Us! Please welcome Martha D. as our guest blogger today. She is so creative & is graciously sharing her talent with us today! First I would like to thank Jamie for asking me to be a guest blogger - it is such an honor! By the way my name is Martha and if you are like me then you are super glad that football season is FINALLY here! 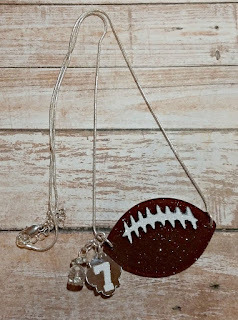 What a better way to show off your team spirit then with some jewelry – a football charm necklace! Pliers, which I already had but can be purchased here. 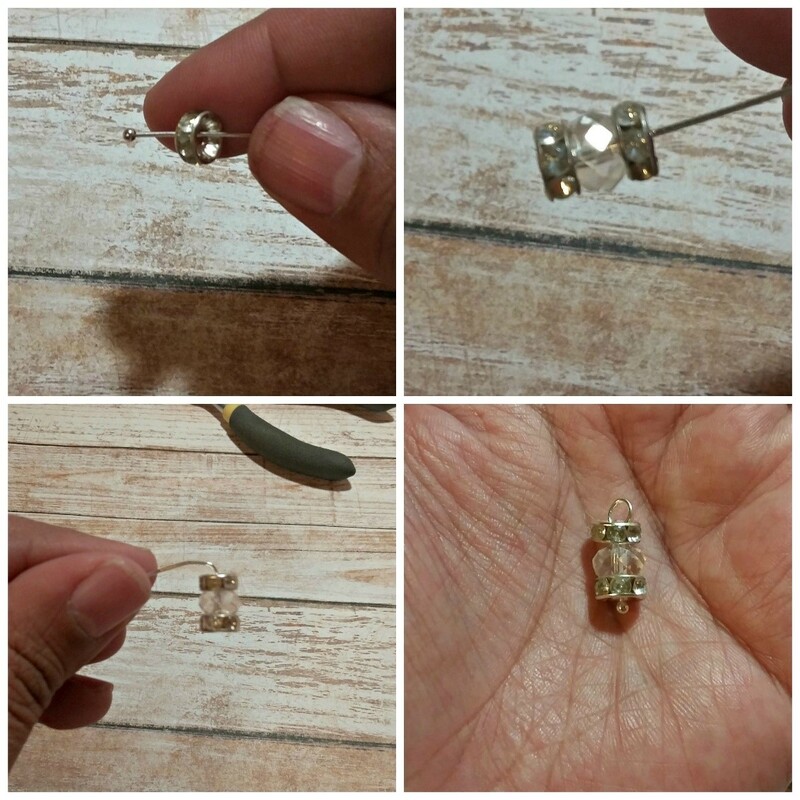 Silver ball point head pin, faceted glass bead & rondelle spacers - available at your local or online craft store. These are pieces I had on hand. 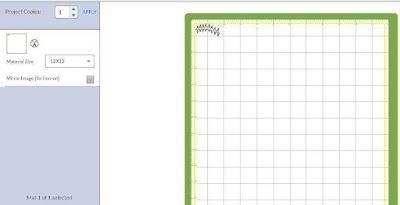 A cutting machine like the Silhoutte or Cricut (what I have). 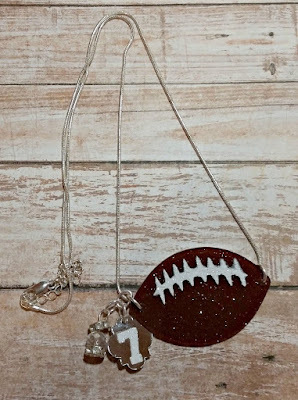 Vinyl in the colors of your choice which Jamie now offers on Craft Chameleon! I used white glitter HTV but you can also use regular Oracal 651. 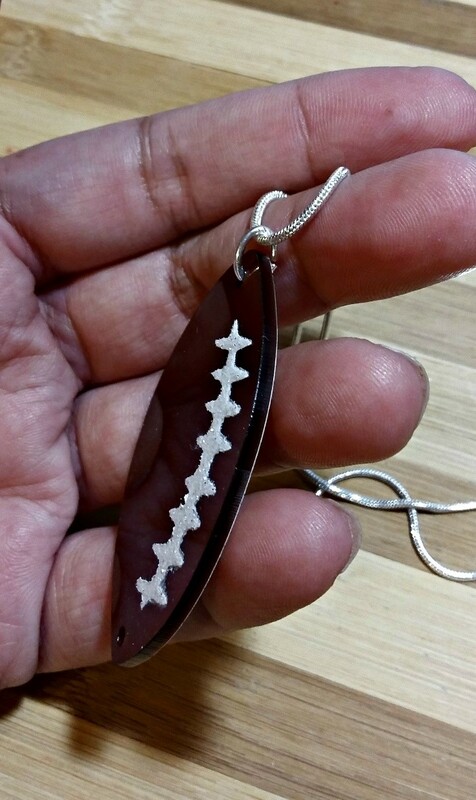 I first made the crystal charm. 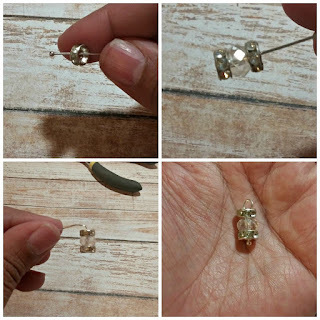 I took the silver ball point head pin and threaded the rondelles and crystal bead. Once they were threaded I bent the wire at a 90°. 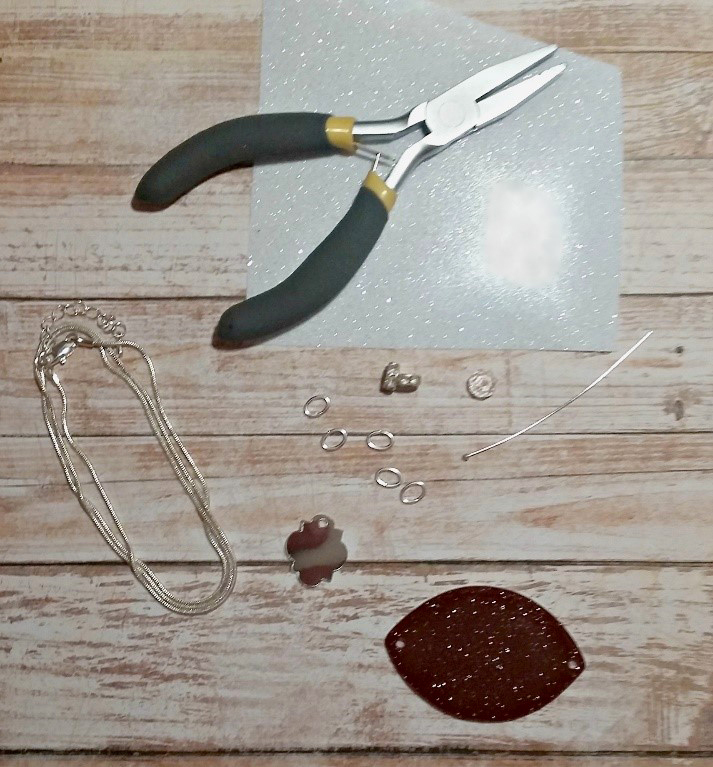 Then take your pliers and bend the wire into a loop, cut off excess of wire and close the loop. 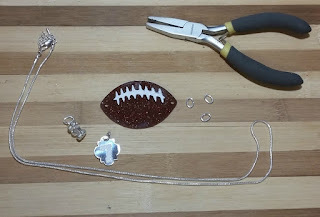 I then cut out the lace for the football out of white glitter HTV – 1.5” x .75” – and the number to 3/8 of an inch by ½ an inch long with my Cricut. 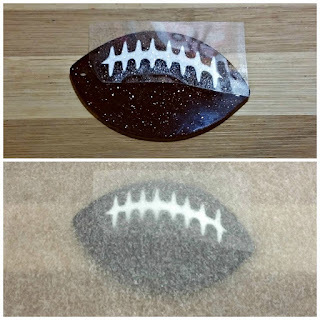 I placed the lace on the football, covered with parchment paper and pressed. BTW, the lace files for the necklace I am sharing here! Once football and quatrefoil are pressed or Oracal 651 vinyl has been placed we are ready to assemble. 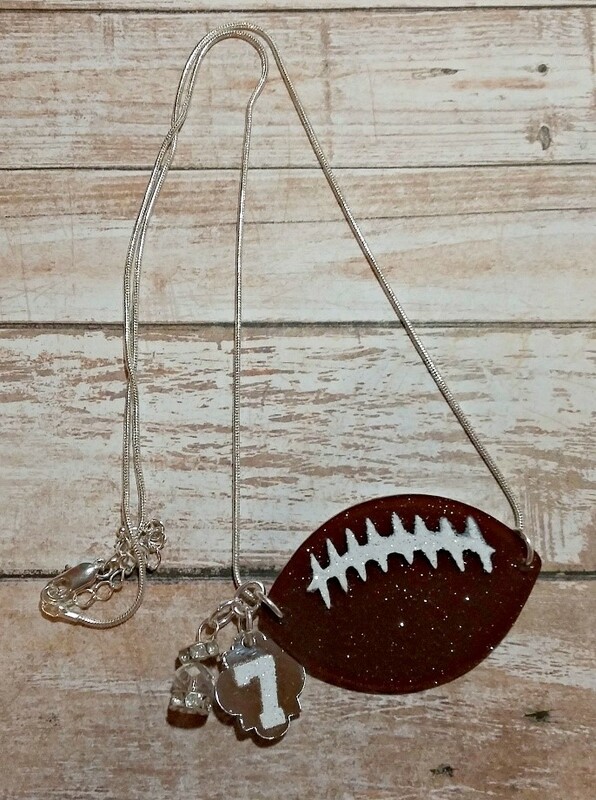 Open one jump ring and join the necklace with the football. Close jump ring. 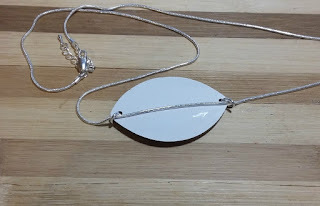 Next, place a jump ring on the crystal charm and another on the quatrefoil charm. Close them up. 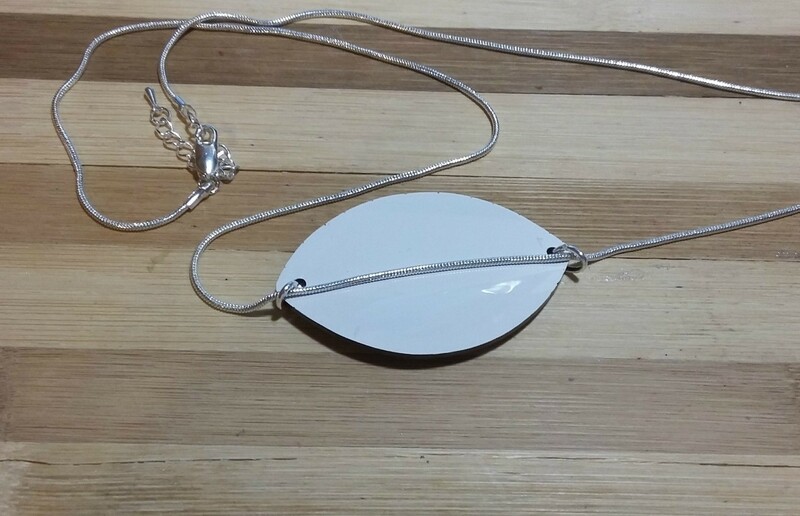 Now use another jump ring to join the charms together with the necklace – that’s it! All that is left now is to show it off!